Are you looking for a watch that can stand up to the rigors of an underwater environment and yet fit effortlessly into any lifestyle? 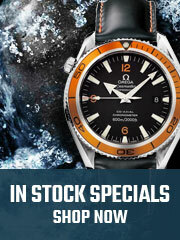 If so, look no farther than Omega Seamaster Aqua Terra watches. These sleek, sporty watches were designed with the ocean in mind. In fact, their very name evokes images of sun-drenched days lounging on a yacht or beach interspersed with an occasional deep ocean dive. However, these reliable watches look just as good in the boardroom or ballroom. Wherever you choose to wear it, your Seamaster Aqua Terra will turn heads with its classic look and obvious quality. The Omega Seamaster Aqua Terra collection appeals to both men and women with its clean, elegant, and symmetrical designs. What Makes the Omega Seamaster Aqua Terra Collection So Unique? These elegantly simple watches have a sporty sophistication that suits any lifestyle. Don't assume that their clean, balanced design means that they lack any essential features. These are luxury watches, after all! There is a full minute scale around the inner rim, a date window, and a strap that is carefully chosen to perfectly complement the watch. As quietly elegant as the Seamaster Aqua Terra watch looks, it is also durable. It is water resistant enough to easily withstand 15 bars of water pressure. That's 500 feet or 150 meters! Wherever you are, or whatever you're doing, you can trust that your Omega Seamaster Aqua Terra watch will be accurate and reliable. For well over 100 years, Omega watches have been earning their sterling reputation for quality, precision, and durability. The Omega Seamaster Aqua Terra has been redesigned to achieve a more comfortable fit along with its stunning, elegant new appearance. The ladies' collection, in particular, is now much more appealing in comfort and looks. According to Omega, "The bracelets include re-proportioned and domed links that give a more feminine appearance." Aqua Terra cases feature stainless steel, 18ct gold, or a combination of the two. The cases are now seamlessly integrated with the bracelets for a better look and more comfortable fit. The dials of the Aqua Terra men's collection are available in a range of distinguished colors: brown, black, gray, silver, or blue. Men's straps include leather, stainless steel, and a 'structured' rubber. Dials in the ladies' collection are available in fourteen different colors, including a lovely mother of pearl dial. Diamond hour markers are also available. Luxury editions are available in the ladies' collection, featuring a captivating variety and arrangement of jewels set in 18ct cases. Our Omega Seamaster Aqua Terra watches, like all of our watches, are guaranteed to be from authorized sources and 100% authentic . Each watch comes in a new box, complete with an original manufacturer's warranty card along with any original tags and accessories. 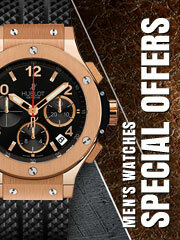 We are determined to earn your trust and your business by selling only the finest watches at WatchShopping.com! Contact our customer service department for more information.